I receive updates from about five different lenders. Some of these are daily updates, while others are weekly, and they almost always include current rate information. But sometimes they include other information that I like to pass on. Below is a link to an update from Eric Leigh with Idaho First Bank. In this update, Eric summarizes how credit scores are calculated. I think this varies depending on which agency is reporting. First Rate Property Management uses credit scores in the determination or acceptance of all applicants. Years ago we simplified our internal decision tool to use the FICO score. The decision tool makes it so that all applicants are scored exactly the same way each and every time. With an eviction rate of less than one tenth of one percent, we feel comfortable with the screening criteria. Almost all of our property owners understand the importance of credit being one of the factors in approving a tenant, but not all do. When a tenant is approved and signs a lease to a property, they receive possession of the property. This could be a $500,000 house or a rental unit within a multi-family building with a value of around $100,000. Nonetheless, the property owner or investor is taking the risk that the tenant will abide by all terms of the rental agreement, which includes payment of rent without demand and taking care of the property. So they are extending the applicant credit. There is no guarantee that the tenant will pay the rent after they move in, therefore the property manager helps reduce the property owner's risk by screening tenants, which includes a credit report. 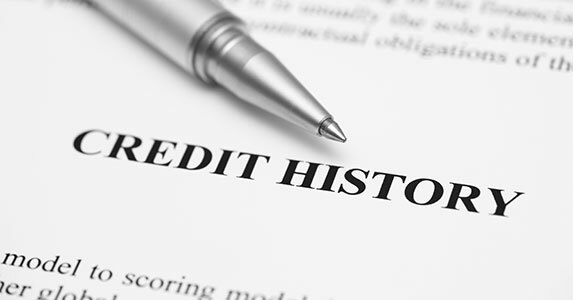 Credit reports are a track record that shows an applicant's payment history. For obvious reasons, property managers and landlords alike want to select a tenant who can reassure them that they will in fact make payments. In FRPM's decision tool, we look at the FICO score. The higher the number the lower the assumed risk. With credit history being an important factor in applicants' approval for housing and anything else that extends credit, I thought Eric's mortgage update could be useful. In his update Eric explains the factors used to determine one's credit score.